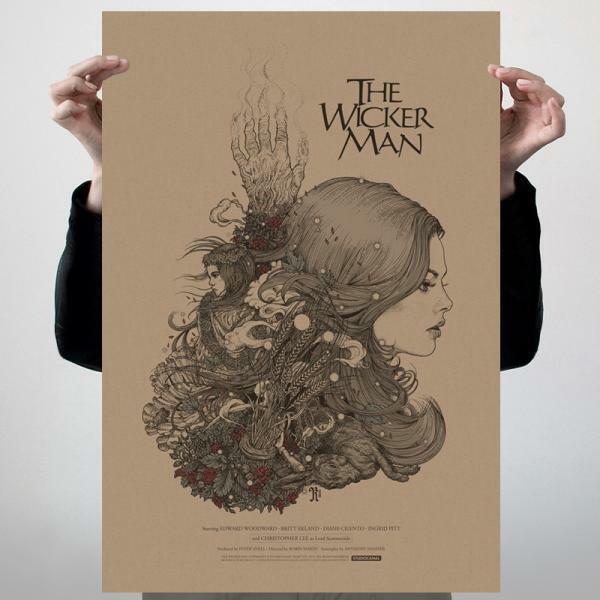 A LIMITED, NUMBERED screen-printed movie poster by renowned artist Richey Beckett, specially commissioned for the 40th Anniversary of The Wicker Man. A slightly different version of the poster with extra credits will be revealed at a Halloween screening of the film on 31/10/13 at the Hackney Picturehouse. This poster is limited to 300 prints 50 of which will have the extra credits on relating to the screening. Please Note: The poster with extra credits will only be available to buy online if they do not sell out at the event.